Since first creating their loyalty programme, Grin Natural have seen a 190.71% increase in membership signups. 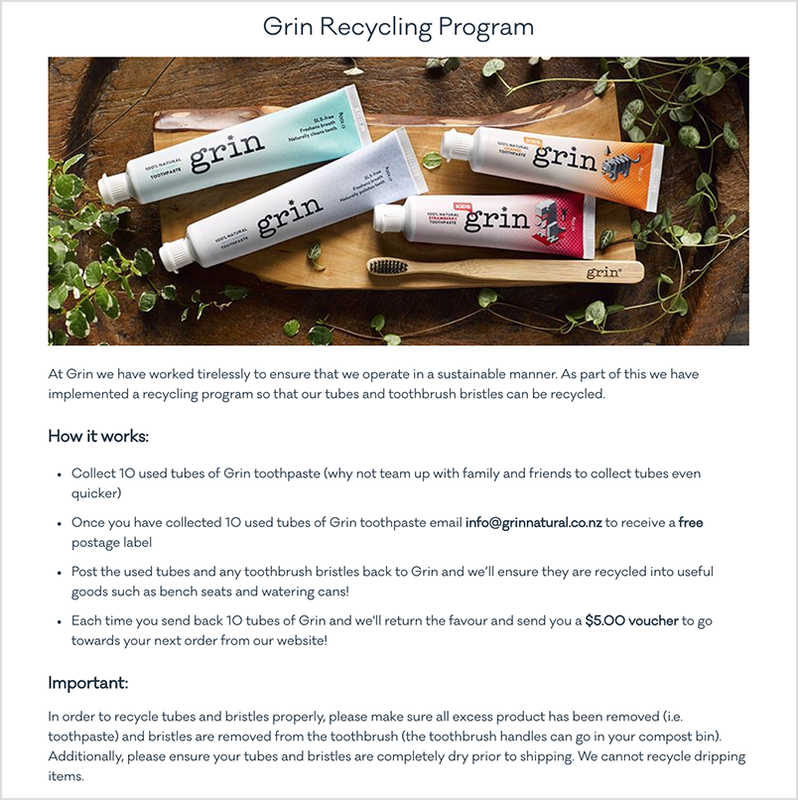 Grin Natural are a 100-percent natural New Zealand-made toothpaste brand. They set out to make a new kind of chemical-free toothpaste which treats our teeth and mouths to something better. They're passionate about creating natural and healthy products, as well as looking after the environment. Grin's branding touches every element of their Brand Ambassador rewards program. Not only have they customized their widget and emails to look clean and fresh, but they've also created a detailed series of rewards that will have their customers grinning from ear to ear! Their mission statement to raise the bar of oral hygiene products is carried through in the quality and attention to detail they bring to their marketing. 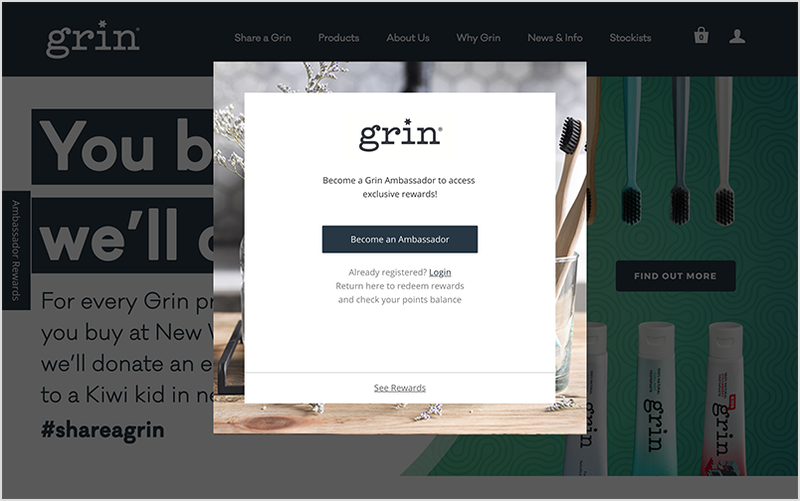 Grin have added their logo, theme color, and imagery to their marketing, including customizing their loyalty widget and ensuring their emails carry through their crisp design decisions. Not only have they personalized their messaging with the brand's voice and tone, but their emails also include a banner that doubles as a product photo and brand display. They've even added their store name to their sending settings to make sure that their members recognize the emails in their inbox. Take a look at their eye-catching widget in the image below. Grin's dedicated to making their products available to as many people as possible because they know they offer more than just a great product, they offer a product which makes a positive difference. They operate a buy one, give one model – for every one of their products which customers buy through their online store, or through New Zealand based supermarket, New World, they will give one of their bamboo toothbrushes to a New Zealand-based child in need.